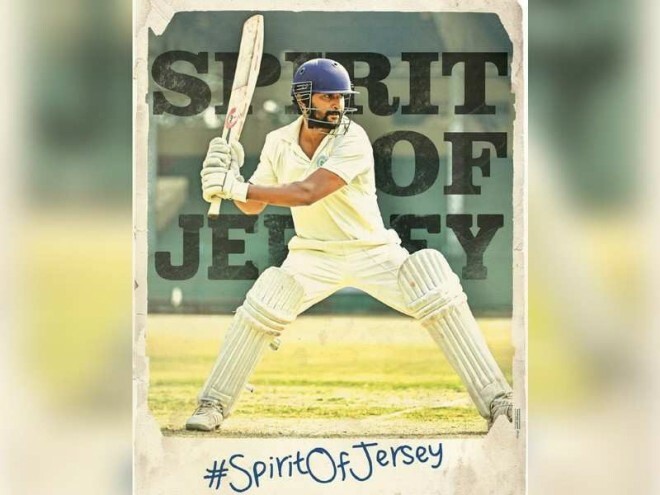 Hyderabad, Apr 12: The makers of Jersey, a sports drama starring Nani, released the trailer of the movie on Friday. The trailer reveals an elaborate outline of its plot, which has Nani as an ambitious cricket player in the first half, and as a father and struggling player trying hard to make ends meet in the second half. Shraddha Srinath is playing the lead opposite Nani and the actors have managed to strike a sizzling chemistry on screen. The trailer begins with a distant shot of the cricket pitch and shows Arjun (Nani) as a young, ambitious but arrogant player who often gets into a scuffle with other players. Shraddha is his girlfriend and supports Nani in his dream of becoming a cricket star. Cut to 10 years later, the two are married but Nani is longer a successful cricket player. Shraddha is the sole breadwinner of the family and the couple has a son. The marriage turns bitter as Nani is unemployed and Shraddha catches him red-handed trying to steal money from her purse. Still nurturing the dream of a becoming a cricket star, Arjun realises he doesn’t have a life beyond the ropes of the cricket ground. He gets back to the pitch despite people calling him a 36-year-old who is physically unfit to play. The trailer ends with Arjun striking a six on the ground and his son, who he believes is his motivation to play, cheering loudly for his father.